Doreen gets a new sign! 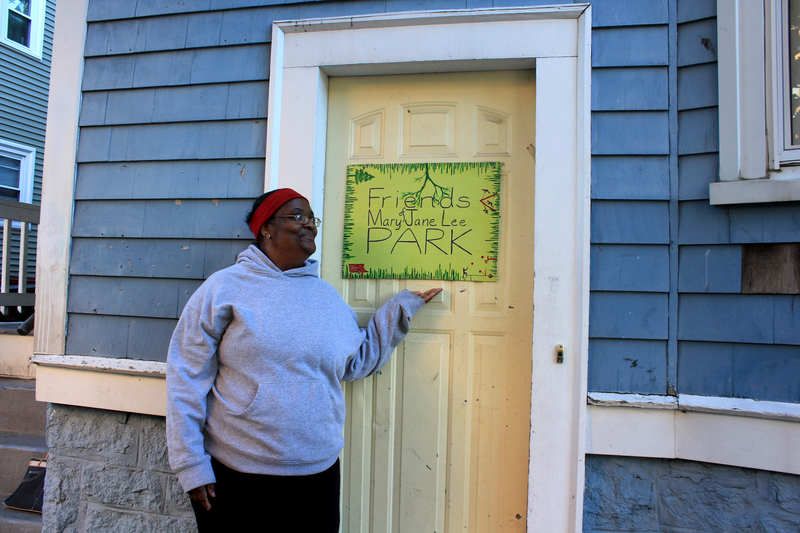 The crazy thing about the new sign for “Friends of Mary Jane Lee Park” is that the lady who made the old one, eight years ago, recently passed away. The day I wanted to take the sign to Doreen, she was heading out to the memorial service. The following day, when I brought her the sign, Doreen told me of their former sign artist, and showed me all the scrapbooks that she had made. The new sign was timely – new beginnings in the fall. This entry was posted in Public Space Actions and tagged friends of mary jane lee park, public space art, the point by jellybeancity. Bookmark the permalink.